David Krut Projects has collaborated with a wide range of artists working in the realm of abstraction. 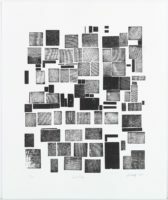 Abstract art uses a unique visual language of shape, form, colour and line to create a composition which exists independently from visual references. Since the early 1900s, abstract art is a central stream of modern art and has continued to expand with contemporary South African art, offering an exciting and explorative visual narrative. Various David Krut Project artists such as Stephen Hobbs and Jacob van Schalkwyk have all brought elements of abstraction to their practice. Through collaborative work at the David Krut Workshop and work within their studios these artists have taken advantage of abstraction to explore a range of concepts and methodologies. Stephen Hobbs’ practice is informed by the visual language of cities, written language and the notion of camouflage. 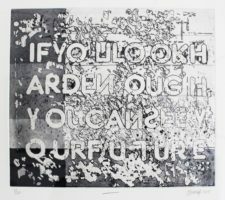 These ideas are translated through letterpress prints, etchings, monotypes, artist books and sculptures, as seen in his most recent 2017 solo project, No Fusion, at David Krut Projects in Parkwood, Johannesburg. Hobbs’ works display a strong level of abstraction, as seen in Quick City, 2016 and DSCF/1252/1, 2012. 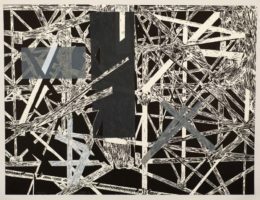 However, he also juxtaposes abstraction with recognisable forms, allowing for viewers to consider the constructs in their own environments -physically, architecturally, and personally. 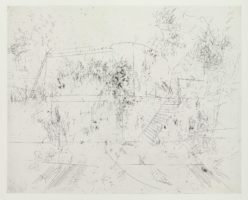 This is seen in works such as Apostle Battery, 2015 with an architectural drawing overlaid with abstract and expressive marks making and lines and in If You Look Hard Enough, 2014 with its recognisable text superimposed with abstract sugerlift marks. Stephen Hobbs, DSCF/1252/1, 2012, Woodblock and Linocut, 55.5 x 73.5cm. Stephen Hobbs, Quick City, 2016, Letterpress, 49 x 40.5 cm. Stephen Hobbs, If You Look Hard Enough, 2014, Aquatint, open bite and drypoint, 31 x 30, 8cm. Stephen Hobbs, Apostle Battery, 2015, Hardground etching, 49 x 59cm. ‘the species of art that interests me here is not working in figurative/known forms. I want to speak about abstract forms’. 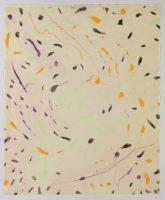 These ideas are embodied in the works showcase on his recent Solo Project and PrintLaunch, DOLCEFARNIENTE held at David Krut Projects in Parkwood, Johannesburg, which includes gestural drawings from his Klaar Gepraat, 2017 series and prints created at the David Krut Workshop Waltz, 2016 and ‘W’, 2016. Jacob van Schalkwyk, Klaar gepraat 1_3, 2017, Lithographic ink and crayon, graphite and charcoal on paper, 76 X 56cm. 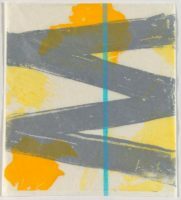 Jacob van Schalkwyk, ‘W’, 2016, Sugarlift aquatint, open bite and woodcut, 28, 2 x 25, 2cm. Both artists will be exhibited at this year’s 2017 FNB Joburg Art Fair. Please look out for the David Krut Projects Booth.